HCM CITY — Fifty one South Korean firms in sectors like manufacturing, travel, construction, water treatment, marine transport, POS software and hardware, trading, garment and textile and others are taking part in a Korea-Việt Nam job fair that opened on Friday in HCM City. 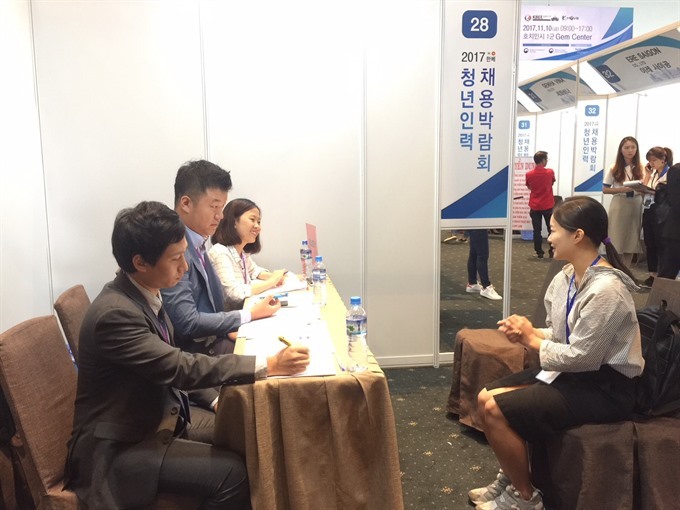 Organised by the Korean Ministry of Employment and Labour, consulate in the city and the Korea Trade and Investment Promotion Agency, the fair is aimed at helping Korean companies in Việt Nam recruit skilled human resources. The companies include CJ Group Vietnam, Lock & Lock, Lotte PK Duty Free, Hansae HCM, Posco Daewoo Vietnam, and LG Hausys, and they are seeking to hire 390 Vietnamese and Koreans for the positions of production manager, HR specialists, accountants, engineers, interpreters, translators and others. Nguyễn Đăng Minh Vũ, HR and GA manager at Lotte PK Duty Free, said his company would recruit four to eight people at the fair for the positions of marketing, purchasing and planning staff. Billy Tae-Hyeong Kim, chief engineer of Huvis Water Vietnam Company Limited, said his company plans to hire laboratory, construction and technical sales engineers for its water and wastewater departments and other positions. Around 25 Vietnamese work for his company now, and it plans to hire more, he revealed.